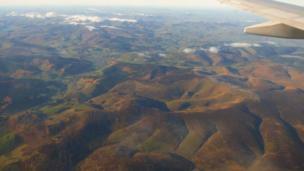 A selection of your pictures of Scotland from 8 to 15 November. 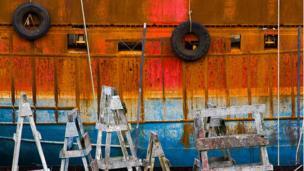 A trawler was in for repair in Girvan boatyard. John Hughes, from Motherwell, liked the colour of the boat and timber supports. 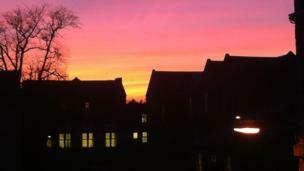 Sunset over Stratheden hospital in Fife. Photo by Jonathan Bates. 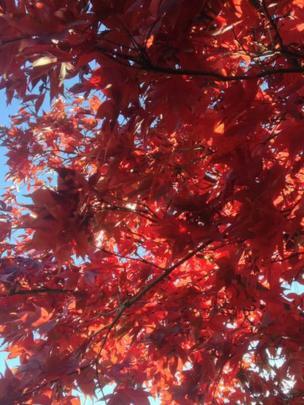 Leaves on a red acer tree in John and Liz Denney's garden, in Cumbernauld, on Remembrance Sunday. 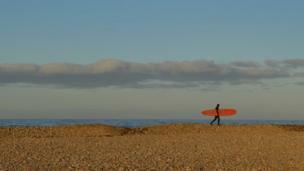 A surfer 'finishes his shift' at Spey Bay, Moray, seen by David Barnett, from Fochabers. 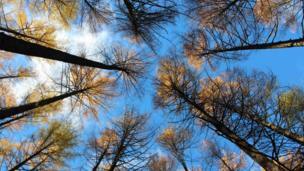 Autumnal leaves against a blue sky in woods near Strathyre. Darren Brogan, from Dunfermline, and his friends were in the midst of a snow storm just an hour later. 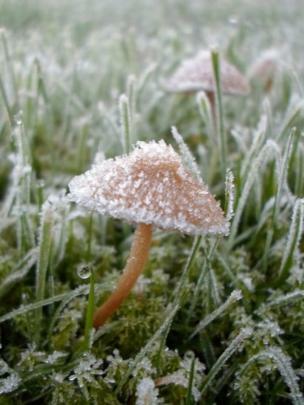 Wet elbows and knees for David Coffield, from Edinburgh, to get this shot of frost. 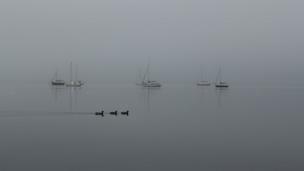 John McLennan was in Fortrose on a misty morning. 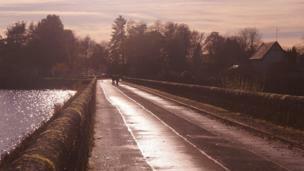 Mugdock reservoir on Sunday afternoon. Andy Haldane, from Glasgow, said the scene looked as though it were from another age. 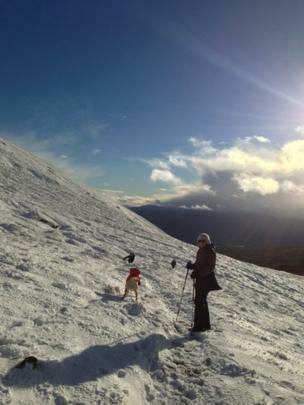 Snow on Ben Lawers by Loch Tay. Photo by Ross MacIntyre from Perth. 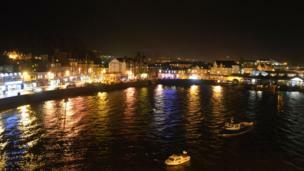 David Donachie, from Dundee, enjoyed the view of Oban harbour. 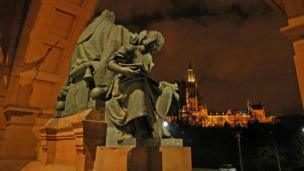 Kelvingrove Art Gallery, with Glasgow University in the background. Photo by Gary Cousin from Newton Mearns. 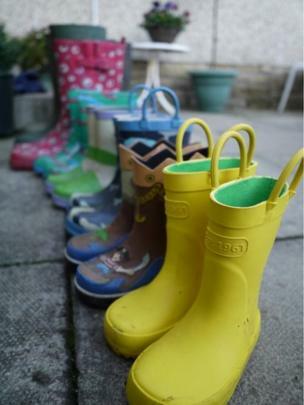 Stuart Crichton, from Fishross, said wellingtons were "out in force" at grandparents' house. 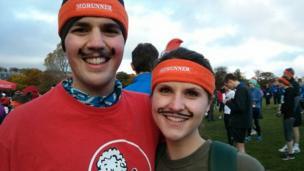 Chris O'Shea and sister Francesca used face paints to prepare for the Movember run on Arthur's Seat, Edinburgh, on 9 November. 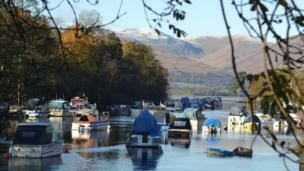 Boats moored in Balloch. Nigel Kirby was there on Sunday.